Coffee brewer grinder refers to a coffee machine that has a built in grinder. This is part of the convenience that one gets from better technology. As technology improves, coffee makers also catch up and introduce some very convenient features. 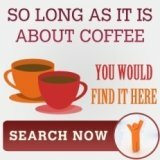 You have dual coffee brewers that are coffee makers that can brew for two cups or mugs simultaneously. And of course, coffee makers that come with their own grinder. The question here is whether a coffee brewer grinder is good enough for domestic usage. 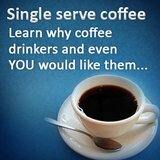 Most coffee grinder brewer machines are fully automatic. The machine can be programmed to grind and brew coffee at a specified time, and all the user needs to do is to insert coffee beans into the grinder of the machine and make sure that there is an ample amount of water in the water reservoir. To put it simply, one can wake up to a brewed cup of coffee without having to grind coffee beans and transfer the grinds to the coffee brewer the previous night. This is the primary advantage coffee brewer grinder machines have. 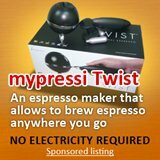 These are easier to buy, in that one does not need to buy a coffee grinder and a coffee maker separately. Furthermore, these are much more convenient in that there’s no need to transfer grinds from the grinder to the coffee brewer. However, coffee brewer grinder have a disadvantage. No matter what, standalone grinders, especially high quality conical burr grinders will outperform grinders of coffee grinder brewer machines. Standalone grinders are much more versatile, as they are able to grind in a variety of sizes, which you can use for brewed coffee, espresso, or French press. Not to mention, standalone grinders are have more stability, which is important in order to get good consistency. On the other hand, coffee grinder brewer machines generally only grind beans up to the consistency that best suits its coffee brewer. 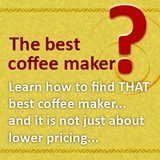 Therefore, is it better to own a coffee brewer with grinder machine? Yes and no. The answer depends on your needs. Ultimately, coffee brewers with grinder are more convenient to have, especially if you’re only planning to drink brewed coffee at home or have limited counter space which cannot accommodate a couple of machines for making coffee. On the other hand, if you’re also planning to make other drinks at home, such as espresso, separate units of a coffee maker, grinder, and espresso machine are a wiser choice. 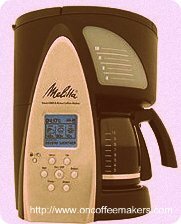 Nevertheless, if you’re looking for a good coffee brewer grinder, a good example is the Melitta Coffee Mill and Brew. It’s a very durable machine, which will satiate your coffee needs for years.